At the planet’s highest northern latitudes, nearly all of the fresh water is frozen. Even the water in the soil is locked away as ice, making it mostly inaccessible to plants. But just a short distance to the south, in the boreal areas of Alaska, Canada, Siberia, and Scandinavia, the landscape comes alive each year after the spring thaw. The transition is relatively rapid, occurring over just a few weeks, and coincides with increasing sunlight and spring snowmelt. Rapid warming releases liquid water. As liquid water becomes more readily available, plant and animal activity is energized. The land greens up, and animals return to graze. “I’m always impressed by how rapidly northern landscapes transition from frozen and dormant conditions in the winter to a rapid burst of life and activity in the spring,” said John Kimball, a scientist at the University of Montana. The transition between frozen and thawed land is something researchers have observed for more than 30 years with satellites. Now, NASA’s Soil Moisture Active Passive (SMAP) satellite is continuing that record. Data from SMAP’s radar instrument were used to produce this map, which shows the freeze-thaw status of areas north of 45 degrees latitude on March 5, 2015, as spring approached. Frozen land is blue; thawed land is pink. The measurement is possible because frozen water forms crystalline structures that can be detected by satellites. Kimball and colleagues have mined 30 years of freeze-thaw patterns from the satellite record. In a paper published in 2012, the researchers showed that soils in the Northern Hemisphere thawed for as many as 7.5 days more in 2008 than they did in 1979. The change was primarily driven by an earlier start to the spring thaw and coincided with measureable warming in the region. “This was a real eye-opener to me,” Kimball said. “We found that the earlier spring-thaw was driving widespread increases in northern growing seasons.” The start and the length of the growing season have implications for how much carbon is exchanged between the land and atmosphere. Questions still remain. For example: How will larger areas of thaw affect carbon sources and sinks? How stable are areas of permafrost with continued global warming? But scientists are making progress. 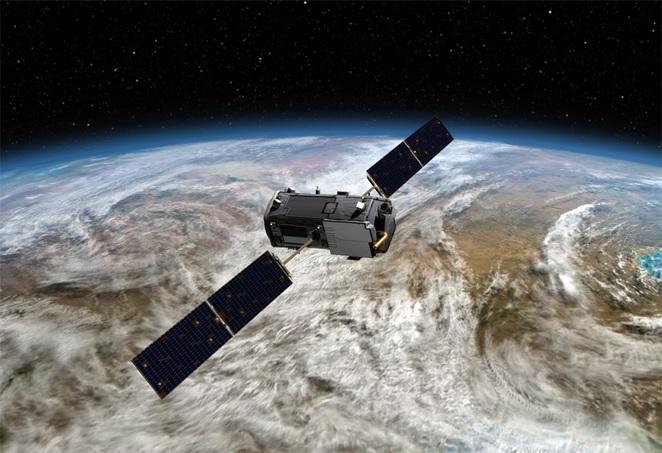 Freeze-thaw monitoring, according to Kimball, made a major advance thanks to the development of well-calibrated, long-term satellite soil moisture records. As those observations continue, and as they encompass more of the planet, it stands to reason that our understanding of the entire water cycle will improve. Read more in our feature story: A Little Bit of Water, A Lot of Impact. Kim, Y. et al., (2012) Satellite detection of increasing Northern Hemisphere non-frozen seasons from 1979 to 2008: Implications for regional vegetation growth. Remote Sensing of Environment, 121 (2012), 472-487. NASA’s Jet Propulsion Laboratory (2015, March 13) Let it Go! SMAP Almost Ready to Map Frozen Soil. Accessed September 16, 2015. National Snow & Ice Data Center, Satellite Observations of Arctic Change. Accessed September 16, 2015. Natural Resources Canada (2015, September 20) Forest carbon. Accessed September 16, 2015. NASA Earth Observatory map by Joshua Stevens, using data courtesy of JPL and the SMAP science team. Caption by Kathryn Hansen. First image from NASA’s Soil Moisture Active Passive satellite from a test of its science instruments Feb. 27-28, 2015, with SMAP’s antenna in a non-spinning mode, which limits measurement swath widths to 25 miles (40 kilometers). Radar data are in the upper panel; radiometer data in the lower. Fresh off the recent successful deployment of its 20-foot (6-meter) reflector antenna and associated boom arm, NASA’s new Soil Moisture Active Passive (SMAP) observatory has successfully completed a two-day test of its science instruments. The observatory’s radar and radiometer instruments were successfully operated for the first time with SMAP’s antenna in a non-spinning mode on Feb. 27 and 28. The test was a key step in preparation for the planned spin-up of SMAP’s antenna to approximately 15 revolutions per minute in late March. The spin-up will be performed in a two-step process after additional tests and maneuvers adjust the observatory to its final science orbit over the next couple of weeks. Based on the data received, mission controllers concluded the radar and radiometer performed as expected. The controllers are based at NASA’s Jet Propulsion Laboratory, Pasadena, California; and NASA’s Goddard Space Flight Center, Greenbelt, Maryland. The first test image illustrates the significance of SMAP’s spinning instrument design in producing more comprehensive maps. For this initial test with SMAP’s antenna not yet spinning, the observatory’s measurement swath width — the strips observed on Earth in the image — was limited to 25 miles (40 kilometers). When fully spun up and operating, SMAP’s antenna will measure a 620-mile-wide (1,000-kilometer) swath of the ground as it flies above Earth at an altitude of 426 miles (685 kilometers). This will allow SMAP to map the entire globe with high-resolution radar data every two to three days, filling in all of the land surface detail that is not available in this first image. The radar data illustrated in the upper panel of the image show a clear contrast between land and ocean surfaces. The Amazon and Congo forests in South America and Africa, respectively, produced strong radar echoes due to their large biomass and water content. Areas with no vegetation and low soil moisture, such as the Sahara Desert, yielded weaker radar echoes. As expected, the dry snow zone in central Greenland, the largest zone of the Greenland ice sheet where snow does not melt year-round, produced weaker radar echoes. Surrounding areas in Greenland’s percolation zone, where some meltwater penetrates down into glaciers and refreezes, had strong radar echoes due to ice lenses and glands within the ice sheet. Ice lenses form when moisture that is diffused within soil or rock accumulates in a localized zone. Ice glands are columns of ice in the granular snow at the top of glaciers. The test shows that SMAP’s radiometer is performing well. 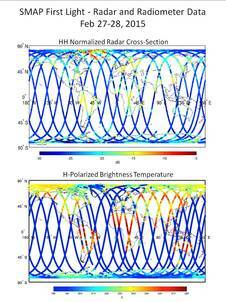 The radiometer’s brightness temperature data are illustrated in the lower panel. Brightness temperature is a measurement of how much natural microwave radiant energy is traveling up from Earth’s surface to the satellite. The contrast between land and ocean surface is clear, as it is in the radar image. The Sahara Desert has high brightness temperatures because it is so hot and has low soil moisture content. The India subcontinent is currently in its dry season and therefore also has high brightness temperatures. Some regions, such as the northeast corner of Australia, show low brightness temperatures, likely due to the high moisture content of the soil after heavy rainfall from Cyclone Marcia in late February. When you open the back of a fine watch, you see layer upon layer of spinning wheels linked by interlocking cogs, screws and wires. Some of the cogs are so tiny they’re barely visible. Size doesn’t matter — what’s important is that the cogs fit together well so the wheels keep turning smoothly. For centuries, scientists have thought of the Earth system as a series of cycles or interlocking wheels like the ones in a watch. It’s a way to make sense of the movements of water and other essentials back and forth between the air and the land, ocean and soil or rock beneath them. In today’s changing climate, some cycles are spinning faster or beginning to wobble. There’s an urgent need to understand what is happening to the cogs that keep these cycles turning. The minuscule fraction of Earth’s water lodged just beneath the land surface is a tiny cog that links the water cycle to two other fundamental Earth cycles: energy and carbon. “That linkage is what makes these three gears turn with a certain harmony,” said Dara Entekhabi of the Massachusetts Institute of Technology, Cambridge. 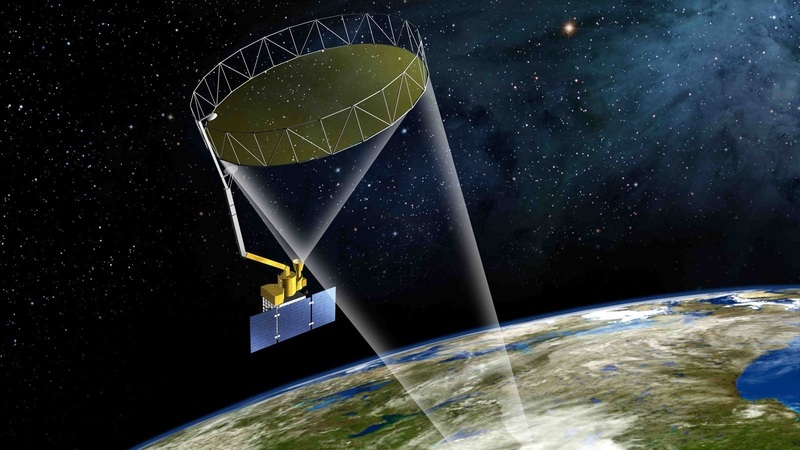 Entekhabi is science team leader for NASA’s Soil Moisture Active Passive mission, scheduled to launch Jan. 29. Developed and managed by NASA’s Jet Propulsion Laboratory in Pasadena, California, SMAP will provide the most accurate information ever about this small but critical cog. You may have learned about the water cycle in school: Water falls from the sky to the land when it rains or snows, and rises from the land back to the sky when it heats up and evaporates. Your teacher may not have mentioned that water vapor isn’t the only thing that rises. The heat energy that turned liquid water into vapor also rises, cooling Earth’s surface. In fact, evaporating soil moisture is the main way that land sheds the solar energy it receives every day and thus is a major player in the energy cycle. “It’s the first process to kick in when the surface heats up, and it continues as long as there is moisture in the soil that can evaporate,” Entekhabi said. Evaporation gets rid of nearly half of the solar energy that reaches land, keeping our planet’s temperature comfortable. If there’s any moisture at all in soil, there’s probably a plant growing there. That’s why most evaporation from soil starts with a plant absorbing water through its roots. Plants need water for photosynthesis, their food-creating process. During photosynthesis they “sweat” — or transpire — water onto their leaves, where it evaporates. SMAP will be the last of five NASA Earth science launches within 12 months. NASA monitors Earth’s vital signs from land, air and space with a fleet of satellites and ambitious airborne and ground-based observation campaigns. NASA develops new ways to observe and study Earth’s interconnected natural systems with long-term data records and computer analysis tools to better see how our planet is changing. The agency shares this unique knowledge with the global community and works with institutions in the United States and around the world that contribute to understanding and protecting our home planet.